← Thursday 23rd July 2015 – Chartwell. Friday 24th July 2015 – Another load of s**t!! 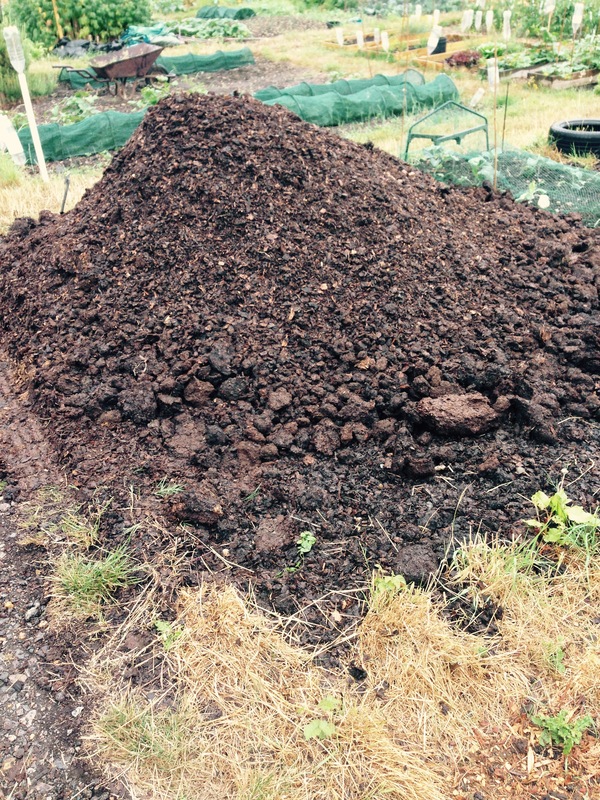 It takes 2 trailer loads of manure to cover all the beds on my allotment, and the first load that my friend Clair had delivered I’d used up, so needed another load from her. Today was the day, and it was pouring with rain ALL day!! I got down the allotment just before 10am, because I wasn’t sure when in the morning she was going to arrive. It was drizzling, but was gradually getting heavier and heavier. If I wasn’t waiting for some manure then I would have gone home, but armed with my wellingtons and a waterproof, I soldiered on weeding the final bed, which I managed to get about one third of it done. I’m not complaining about the rain, we do need it desperately, but I wish it would rain all night, and not all day. Still I suppose we can’t have everything. Clair arrived about 10.45am and we both started to unload all the manure from the trailer into a massive pile on one of my beds. The rain kept getting harder and harder, and we were the only ones on site (sensible people were in the dry). It took us both about 45 minutes to unload all the manure, and then Clair left, and I then decided that the sensible thing to do would be to go home myself as well. When I got home I had to change ALL my clothes, except my socks they were dry! Oh manure!! One of my favourite things in the world. 4 Responses to Friday 24th July 2015 – Another load of s**t!! I’ve never put manure on my plot in 3 years but maybe need to although most things grow ok. How much was all that s***? I always give my beds a good coating of manure once a year, and it does wonders. Where I get it from it’s free. They have 2 huge mounds and love people to come and take it away. Watch out, because some places charge, so make sure you ask before you get any. If you spend an hour shovelling it into bags and loading it in your car why should you pay. My friend who bring me trailer loads I’ll give her a box of goodies from my allotment which she loves. Black gold! One of the things I love most about gardening is how it turns waste products like this into lovely tasty vegetables. I know. I emptied the compost heap out at home yesterday and it was amazing inside.